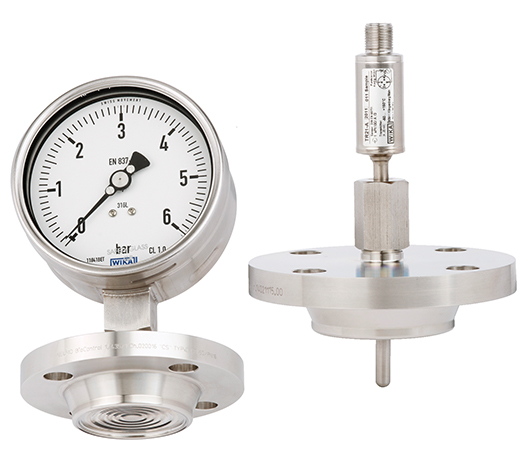 New products for sanitary applications: At this year's Achema, WIKA will present pressure and temperature measuring instruments with gasket-free NEUMO BioControl® CS connections for the first time. The 1.4435 stainless steel connection combines measuring instruments and BioControl® CS housings on an all-metal basis. In comparison to connections with elastomer sealings, it is unaffected by temperature influences and aggressive products and media. The risk of defective O-rings and thus cross-contamination is eliminated. 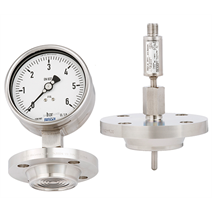 The measuring instruments – in combination with diaphragm seals or thermowells – can therefore be used exceptionally safely. The sealing contour is not affected by repeated resealing.